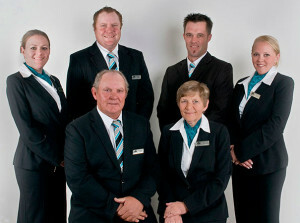 Lincoln Family Funerals Western Suburbs is a family owned funeral home staffed by the women in the Lincoln Family. With many years of combined experience our service is second to none. We believe that our caring all female staff show much compassion and understanding during the planning of a funeral service. The staff at Lincoln Family Funerals Western Suburbs can visit your family home to make the funeral arrangements when someone passes away, which in most cases families find they are a little more comfortable sitting around their own dining table of lounge room in familiar surroundings, with family members by their side for support, at this, one of the most difficult times in their life. Our friendly female staff have modern technology to show their families visual displays of coffins, flowers, funeral venues, wake menus, music selections and all possible options available to plan their loved ones funeral exactly the way they would like to remembered. The arrangements for the funeral service can also be made in our modern funeral home also, whichever your family prefers. No two funerals are ever the same. Each funeral should be different and reflect exactly on the person’s life. It may be a religious service in a church that they frequented followed by either a burial or a cremation. Or it may be a non-religious service in a chapel, reception venue, garden or backyard to truly reflect the uniqueness of the person who has passed. Music plays a large part of making a funeral unique with the various types of music out these days. We have a large selection of music at Lincoln Family Funerals Western Suburbs and can source anything that you wish to be played on the day of the service. 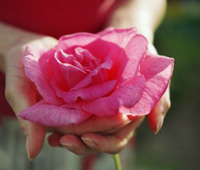 Contact Lincoln Family Funerals Western Suburbs can be contacted on 9333 0997 to discuss your options.